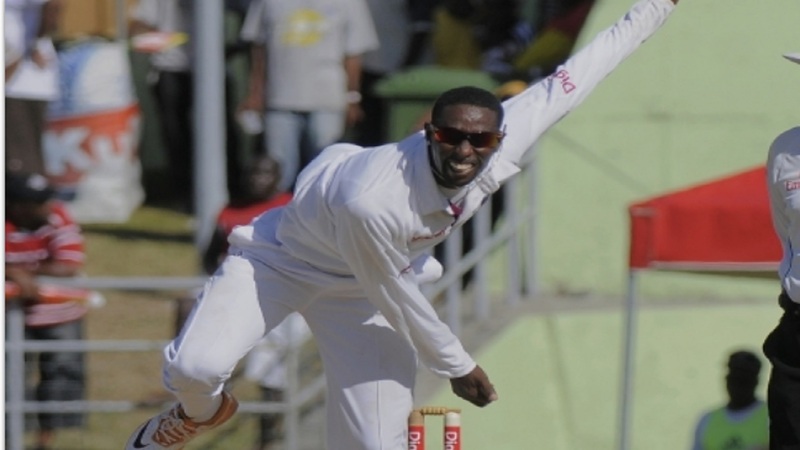 Windward Islands Volcanoes spinner Shane Shillingford bags a five-wicket haul against Jamaica Scorpions. Jamaica Scorpions have bagged first innings points against Windward Islands Volcanoes on day two of their bottom-of-the-table fixture in the fifth round of the 2017-2018 Digicel Regional 4-Day Tournament, at Sabina Park on Friday. Resuming the day on 43 without loss, chasing the Volcanoes' first innings total of 200, Jamaica Scorpions reached 261 for eight at stumps, for a 61-run lead. The Scorpions were led by a solid half century from opening batsman John Campbell , who scored 71 runs off 79 balls. Campbell received support for opening partner Trevon Griffith who made a patient 37 from 107 balls, while strong hitting from Fabian Allen lower down the order also pushed the score along. Allen hit 57 from 113 balls. The Scorpions were not allowed to have things their own way, however, as spinner Shane Shillingford claimed five wickets, after claimed a five-wicket haul. He finished with five for 72. Shillingford accounted for Griffith at the top of the order before returning to dismiss Steven Taylor (5), Derval Green (0) and Damion Jacobs (3) at the bottom of the order. Allen will return to the crease on Saturday along with captain Nikita Miller, who is on 29 from 77 balls. Scores in the match heading into Saturday's third and penultimate day are:- Windward Islands Volcanoes 200; Jamaica Scorpions 261-8. 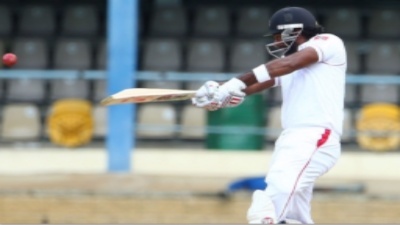 OVER AT WARNER PARK IN ST KITTS: All-rounder Imran Khan added an unbeaten half century to consolidate a strong position for Trinidad and Tobago Red Force, which ended day two leading the Leeward Islands Hurricanes by 93 runs. Kyle Hope (84) and Amir Jangoo (96) had already scored half centuries at the top of the order, but Khan’s unbeaten 84 from 141 balls pushed the twin island republic to 360 and a lead of 153. The Red Force had resumed the day on 140 without loss, chasing Hurricanes' first innings total of 207. Earlier Hope fell 16 runs short of the century after being bowled by Terrance Ward, while Jangoo was caught by Jahman Hamilton off the bowling of Devon Thomas. Ward had the most success with the ball for the Hurricanes after claiming three for 61. 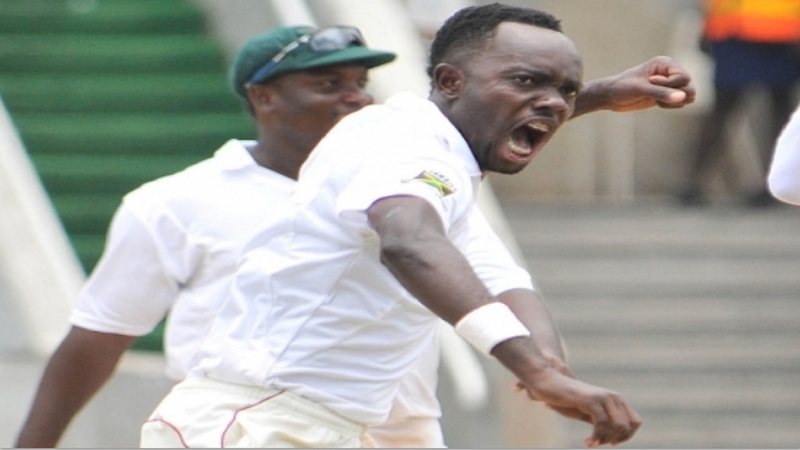 Rahkeem Cornwall, Devon Thomas and Jeremiah Louis claimed two wickets each. In response, Leewards opener Montcin Hodge (26 from 76) and Chesney Hughes (29 from 72) had made a steady start to erasing the deficit, combining to push the team to 60 without loss. 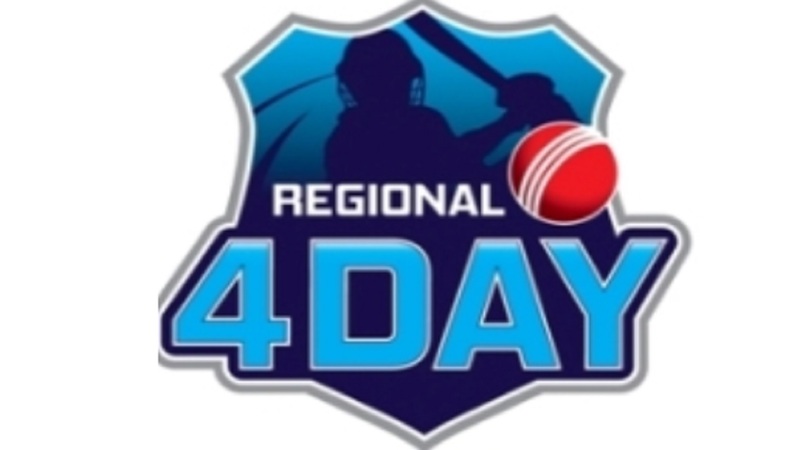 Scores in the match entering Saturday's third and penultimate day are: Leeward Islands Hurricanes 207 & 60-0; Trinidad and Tobago Red Force 360. OVER AT THE PROVIDENCE STADIUM: Barbados Pride made inroads into the three-time defending champions Guyana Jaguars' batting line up on day two. After scoring 294 all out, thanks good batting from Justin Greaves, 72, and Kenroy Williams, 68, the Pride reduced the Jaguars to 180 for four at stumps. 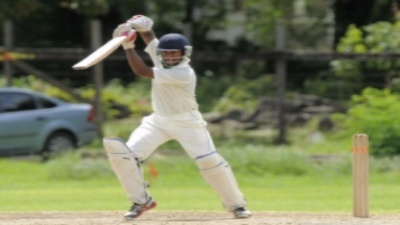 The Jaguars got off to a solid start in their reply, Tagenarine Chanderpaul and Chanderpaul Hemraj putting on 115 before the latter was run out by Greaves for a well-played 79. Tagenarine would try to consildate after that and was patient for his 52, which ended when he was last man out before stumps, caught by Mario Rampersaud off the bowling of Jomel Warrican. Around him wickets fell regularly enough, as skipper Leon Johnson could only manage one, while the usually dependable Vishaul Singh could only muster 15. Veteran Shivnarine Chanderpaul is not out on 15, while Gudakesh Motie, the night watchman, is on three. Greaves, after his heroics with the bat, has so far taken one for 44, while Warrican has figures of one for 23 and Jonathan Carter, who has only bowled six overs, has bagged one for eight. Scores in the match heading into Saturday's third and penultimate day are:- Barbados Pride 294; Guyana Jaguars 180-4.